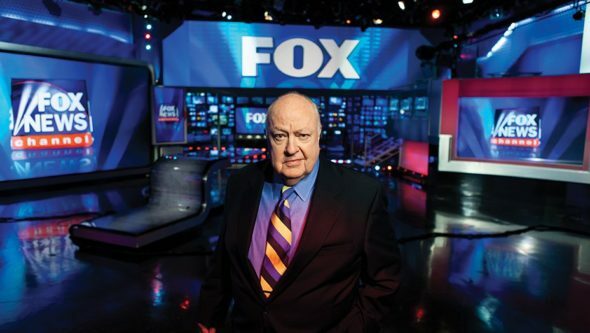 The two most arresting interviews in the new documentary Divide and Conquer: The Story of Roger Ailes don’t involve any surprising new reveals about the Fox News media mogul himself. But it’s no accident of archival footage for director Alexis Bloom to let clips of Ailes, Bill O’Reilly, Matt Lauer and Charlie Rose hang on the screen just a few beats too long. In July 2016, Ailes resigned from the network he built due to sexual harassment allegations, including those from high-profile current and former Fox News anchors. It would be another year before Me Too crystallized as a movement, but Bloom convincingly frames the rise and fall of Ailes within this broader national reckoning. Ample time is given to Ailes’s accusers. Their stories are powerful, and serve as a constant reminder that the tragedy of these harassment incidents aren’t the “great men” we lose but rather all the potential talent that was silenced or forced to leave the industry too soon. The most refreshing part of Bloom’s perspective is that it means we’re subjected to a surprisingly little amount of armchair analysis. A few of the industry talking heads wonder about the paths not taken for Ailes, and glimpses of his white picket fence upbringing in northeastern Ohio certainly fit neatly within his guiding ethos for Fox News as a revanchist counterweight to supposed liberal anarchy. But these tangents either slip away quietly or are forcibly punctured by the reality of his legacy. It’s a satisfying irony to see Bloom take control away from Ailes and his persona, even posthumously. If the broad outlines of Ailes as both kingmaker and mythmaker are familiar territory in Divide and Conquer—from his prescient television savvy with Nixon up through the perfect singularity Fox News achieved through its fusion with Donald Trump—Bloom makes a good case that this story is still vital. And, for better or worse, unfinished. That a paranoid old ogre could have built any world he wanted to with his boundless talent is about as nice a sentiment as the film can coax from his former colleagues. But so what? Ailes is dead now, and can only look up at the rest of us as we figure out how to live in or fight against the world he created.